June is Pride Month, and it is now associated with marches and festivals that celebrate the progress made to date around the world in achieving a growing aspiration – to respect the universal dignity of all human beings – regardless of their sexual orientation or gender identity. I will be proud to march with members of my Quaker community in Washington’s own Pride Parade this Saturday. Yet amid the celebrations, there are also moments when we must take stock of the grievous sacrifices that have characterized this dignity journey so far. Today was a stocktaking day for me, as I attended the special memorial service for Xulhaz Mannan that was held at the U.S. Agency for International Development’s headquarters in Washington. Xulhaz was a Foreign Service National – a local employee of USAID – who worked at the USAID Mission in his home country of Bangladesh. On April 25th of this year, Xulhaz and his friend Mahbub Rabbi Tonoy were both hacked to death in his apartment by six members of an extremist group. Xulhaz knew the risks of being openly gay in Bangladesh, but he was a man with a strong moral sense of mission. 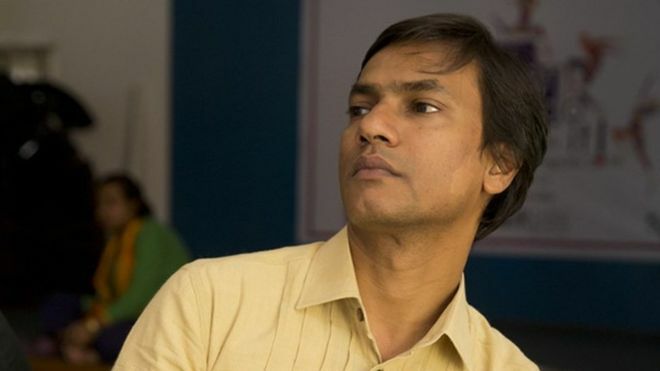 Besides his important work on democracy, human rights, and good governance programming for USAID in Bangladesh, Xulhaz also served as the editor of Roopbaan, that country’s first and only LGBTI magazine. Xulhaz was a committed LGBTI development activist, and he paid the price for his commitment in a country where diversity is culturally abhorred by many. I did not know Xulhaz personally, but having worked in Bangladesh, the reality of his tragic loss was particularly gripping. Bangladeshi popular abhorrence notwithstanding, diversity happens. Xulhaz’s bravery in owning his homosexuality was only part of a picture of a man who was a recognized champion on behalf of Bangladesh’s gay and transgender people. The speeches made at the USAID memorial service were eloquent, sincere, and moving in their praise of his generosity of spirit, his principled commitment to human rights, his remarkable sense of humor amid deeply challenging times in his country, and his many cherished friendships. For me, there were two particularly poignant moments in this memorial service. One was when Xulhaz’s brother, Minhaz Mannan Emon, made a profoundly personal tribute to his lost brother. The second was when the USAID Administrator, Gayle Smith, fought back her tears to paint a vibrant picture of a man who was beloved and respected – and very, very human. Bangladesh and many other countries afflicted by perverse intolerance for the inescapable (and wonderful) reality of human diversity constitute some of the most challenging battle lines in the struggle for human dignity. That awareness filled my heart as I went directly from the memorial service to a (previously arranged) USAID Pride Month event upstairs in the same building, where I joined former Congressman Barney Frank; the International Program Director of the Williams Institute at UCLA, Andrew Park; and USAID’s Senior Human Rights, LGBTI, and Social Inclusion Advisor Ajit Joshi as the fourth speaker to USAID staff gathered in the Nelson Mandela Room. Our topic: how international development efforts might best address the plight of LGBTI persons around the world – and what USAID’s optimal role should be in this context. Perhaps I was feeling the exasperation of the many years of this struggle, but it felt so much like a conversation that has taken place over and over, from my earliest days in 2010 as a political appointee at USAID extending to long after my service there. Congressman Frank did his best to provide a dispassionate view of America’s role in supporting both domestic and international LGBTI progress – despite the hard-knocks world of American political realities. Andrew Park provided a thoughtful framing of how international development might best be conceptualized in this context. Ajit Joshi (who is a personal hero of mine) ably defended his Agency’s record on LGBTI programming, citing a number of specific projects that have been successfully carried out. And I made my “usual pitch” for development practitioners to take ownership of the human dignity narrative, to harness its power in changing hearts and minds around the world. But then I looked around the room, as I have done so many times before. And I thought about the many high-level USAID and State Department officials who had been at the previous ceremony, realizing that they were absent now. Clearly they had more important things to do. Not for the first time, I reflected on the futility of overcoming egregious violations of the human rights of LGBTI persons in the developing world. Such profound assaults on their dignity will continue without strong, consistent, and unequivocal leadership supported by adequate financial resources to drive development initiatives of a sufficient scale to make a sustainable difference. LGBTI people are few in number, so this is not a question of massive funding. Instead, it’s a challenge of bringing the committed leadership that was so eloquent and sincere downstairs at the memorial service, upstairs into the programming space. With such leadership on these issues and a reasonable level of funding, with clearly stated and pragmatic institutional policies (instead of an ineffectual “vision statement”), and with a specific development narrative as persuasive and forceful as the human rights advocacy narrative of global civil society, the United States government acting through USAID, the State Department, the Millennium Challenge Corporation, and other foreign affairs agencies would transform and exponentially increase its positive impact on the lives, well-being, and opportunities for LGBTI persons throughout the developing world. While compelling senior leadership messaging and the allocation of necessary resources are obviously needed for progress in this context, the notion of a “development narrative” may not be so clear. Yet it is important to differentiate (as Andrew Park commendably did in his presentation) between the objectives of human rights activists and the role of development practitioners. To date, international LGBTI efforts have been largely in the domain of the activists, and their important work must continue. Yet development practitioners have a distinctive message of their own – of building new and durable institutions, programs, capabilities, and practices that reflect a changing perception of the centrality of human dignity and how this allows for no exceptions for “those people”. Development is about well-being, about hopes and dreams for a better life, about all citizens engaging in decision-making, about finding jobs and a realistic chance at quality of life, and about unconstrained access to the public services that “those people” have been excluded from so far. This positive view of “development” is not what the actual lives of LGBTI people around the world are about right now. That has to change. USAID is uniquely situated as the world’s largest bilateral foreign and humanitarian aid donor to speak out forcefully and achieve measurable results through research, policy, programming, dialogue, and practice on behalf of the well-being for all marginalized peoples. No exceptions. And even a cursory reflection would acknowledge that effective international development is driven by universal moral values and the unwavering assertion of the importance of human dignity. The proper and thoughtful exercise of those values in a structured way at an effective scale brings out the best in American institutions such as USAID. It’s also a narrative that would bring a smile to all development practitioners who are concerned about the plight of LGBTI persons – people just like Xulhaz Mannan – all around the world. Thank you, Chloe, for sharing your reflections. At last! Something clear I can unenrstadd. Thanks!